SACRAMENTO — Wayne Hisashi Maeda, who taught for 40 years at CSU Sacramento, passed away peacefully at his home in Sacramento on Feb. 27. He was 65. A native of Dayton, Ohio born on Aug. 26, 1947, he retired in 2011. He also taught Asian American studies courses at UC Davis and Sacramento City College. 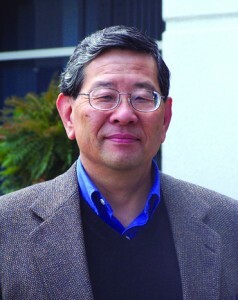 Maeda was one of the founding members of the CSUS Ethnic Studies Program, teaching while still a graduate student and developing the Asian American Studies Program. In 2000 he authored “Changing Dreams and Treasured Memories: A Story of Japanese Americans in the Sacramento Region,” the only historical account of its kind. He was a board member of numerous organizations, including the CSUS Japanese American Archival Collection Advisory Board, the National Japanese American Historical Society, Jan Ken Po Gakko, Wakamatsu Gold Hill Colony Foundation, and the Nichi Bei Foundation. Since 1995, he was a book reviewer for The Nichi Bei Times and its successor, The Nichi Bei Weekly. He was predeceased by parents, Masao and Ayako Maeda. He is survived by his wife, Lorrie Toohey Maeda; daughters, Yumi Maeda (Carly Tan) of San Mateo and Sachi Maeda of Torrance; ex-wife, Elaine (Matsumoto) Maeda; sister, Hatsuye Catherine Maeda; and brother, Setsuo Ralph Maeda. A memorial service will be held on Friday, March 8, at 3 p.m. at Sacramento Betsuin Buddhist Church, 2401 Riverside Blvd. A potluck reception will follow. Condolences can be sent to the Maeda family at 2420 36th Ave., Sacramento, CA 95822. UPDATE: Lorrie Toohey Maeda, 64, passed away just days after her husband, on March 2. Born on June 26, 1948 in Eureka, she taught history for Los Rios Community College District from 1998 until 2012, mostly at Sacramento City College. The couple will be honored at the memorial service. My thoughts and prayers are with the family and friends of Professor Maeda. As a former student of his, I was profoundly touched, moved, and inspired by his genuine care and respect. He was a warrior. God broke the mold on Professor Maeda. He will be missed, but never forgotten. To the family of Wayne Maeda; our sincere condolence. Another giant Nikkei from Northern California has passed into history. Wayne Maeda was the sources for Nikkei history, especially the region in the upper Sacramnto Valley and the Sierra Foothills. We will miss his book reviews and his guest commentary in the Nichi Bei Weekly. Wayne’s email moniker “waymad” was fitting. He was a stalwart pioneer and leader of the Asian American community, continuously advocating for issues of racial and social justice. Wayne was a true leader who never coveted the spotlight. Prayers and deep sympathies to his family, as well as to the family of his beloved wife Lorrie Toohey, who tragically and unexpectedly passed away three days after Wayne did. Thanks to the Rafu Shimpo’s J.K. Yamamoto for posting Wayne’s death notice. Wayne was a great friend and colleague to those of us in the Gender Equity Network in California. He contributed insight and knowledge to the members of Team America, a program that brought in-service to secondary teachers to improve the education of our diverse populations of young people in California schools. He also managed a library of resources made available to educators at no charge to assist in equity program implementation. Wayne was a gentle soul and shared quiet wisdom with all he came met. He truly enjoyed life will be sadly missed. What a loss. Wayne was an academic inspiration, and an early advocate for paying more historical attention to the WWII alien enemy control program. He was instrumental in helping to ensure the success of “The Enemy Alien Files: Hidden Stories of WWII.” The mark of his character was that he never let his love of history come between him and his love of people..